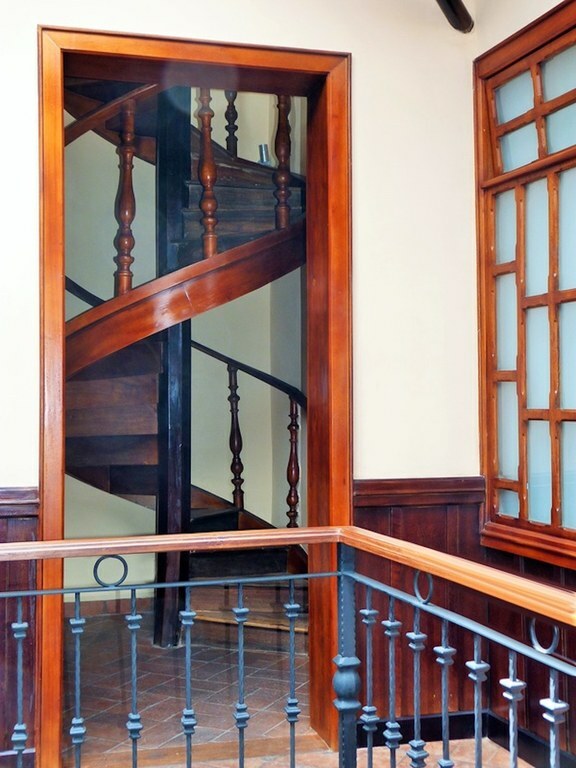 This grand house was built in the 1850s and served as the quarters of the first Archbishop if Cuenca. 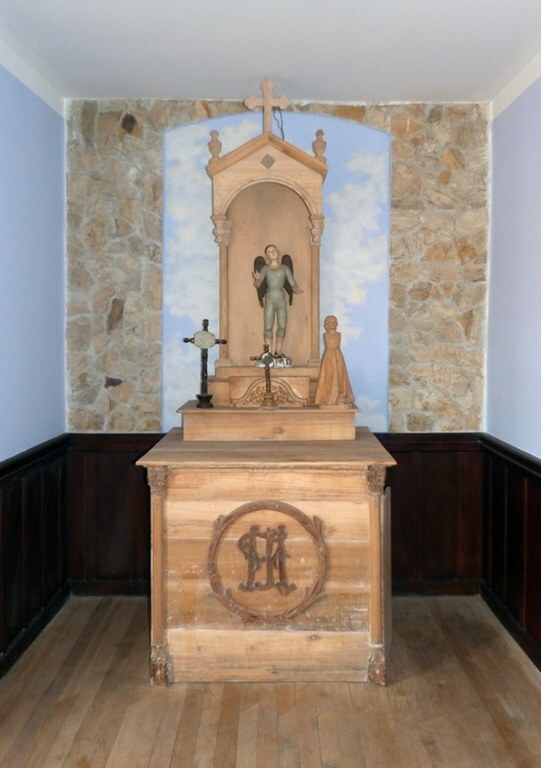 It still has the original rooftop chapel – only one of three rooftop chapels remaining in Cuenca. 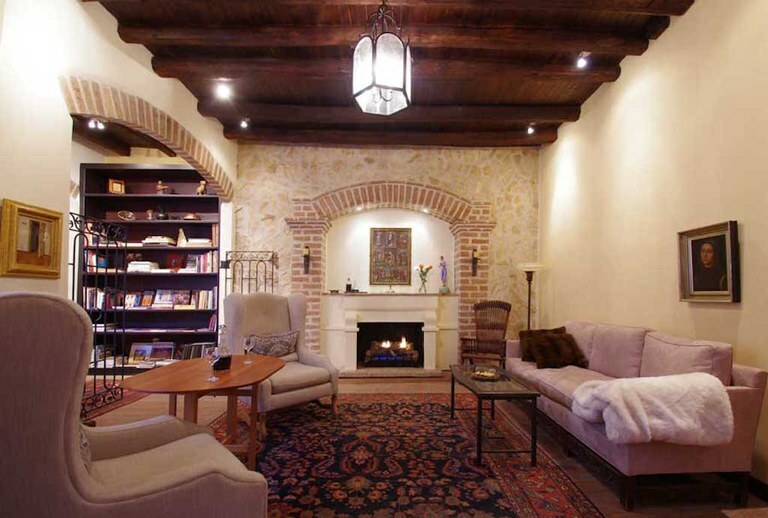 The vaulted, wood ceilings with rough-hewn timbers in all rooms make for an expansive, opulent feeling of space. 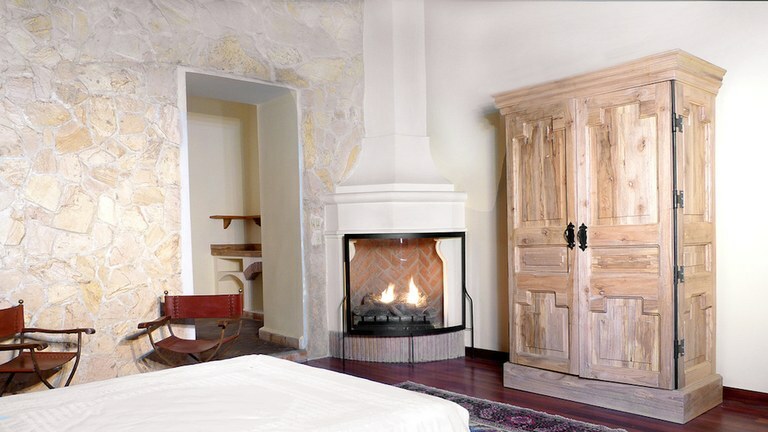 There are eight remote-controlled gas fireplaces throughout the house, including in each bedroom, to keep one warm and comfortable. 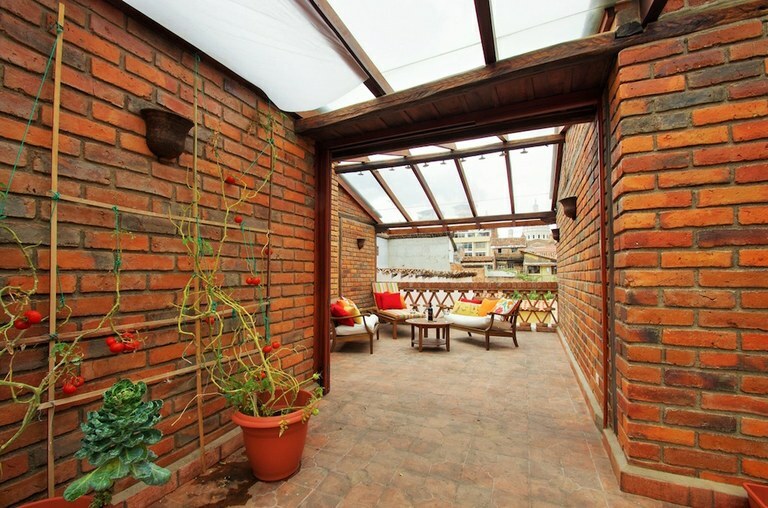 Enjoy the large, glass-covered terrace as you relax outdoors in any type of weather. 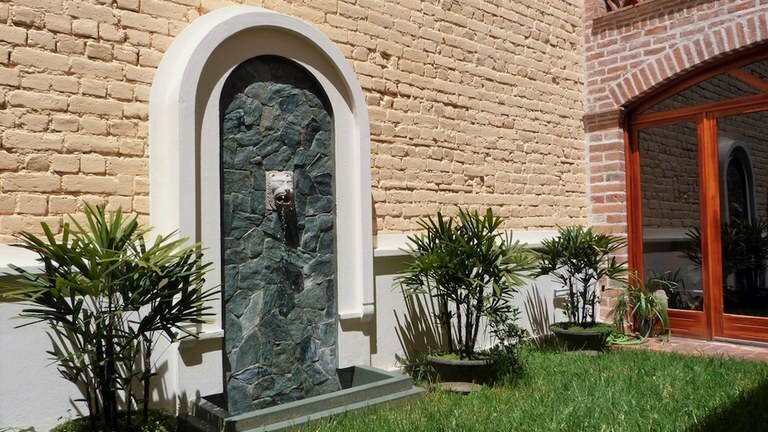 Experience the soothing sound of the two indoor fountains or sit in the backyard as the flow of the outdoor fountain adds to the tranquil setting. Gorgeous chanul hardwood from the Amazon forest is used for flooring in the living room, grand sala, offices and guest bedrooms. 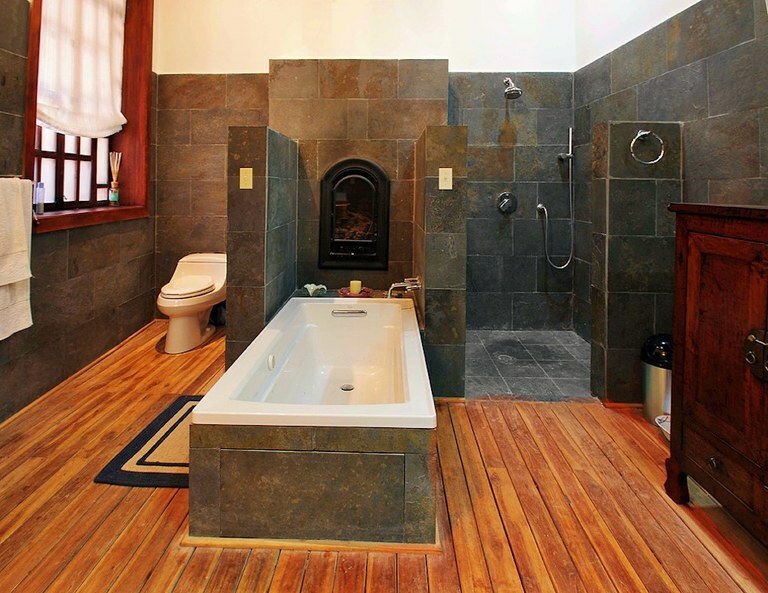 You walk upon elegance.The spacious master bath is floored in teak with room enough for the boards to expand, allowing the steam shower to go, well, full-steam ahead when you'd like some personal sauna time. 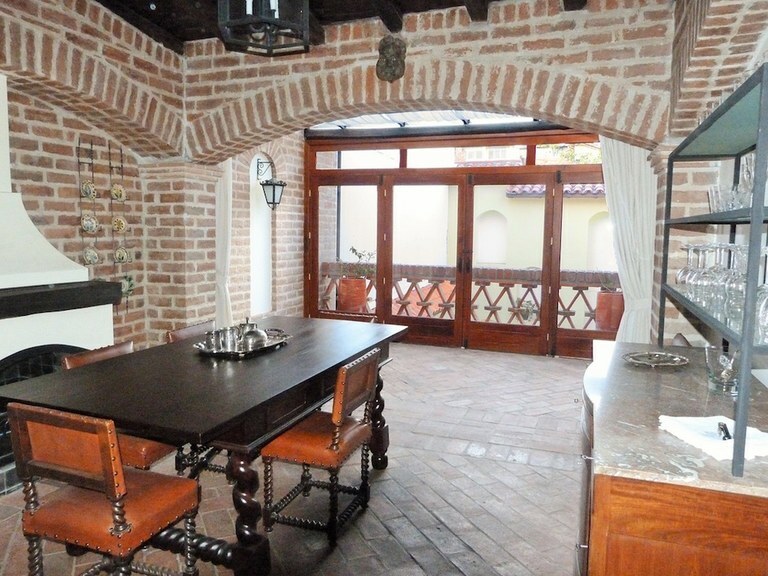 Hand-made bricks set in a herringbone pattern flow through the entry, indoor atriums, kitchens and dining area as well as all hallways, giving the house its patrimonial quality while at the same time exuding luxury and a respect for the historical significance of the home of Cuenca's popular and beloved Archbishop. Two huge, domed skylights soar three stories above the two indoor fountains, providing excellent natural light throughout the day. There are specially-designed chandeliers and the LED lighting throughout the house are on dimmer switches for your desired level of ambiance. 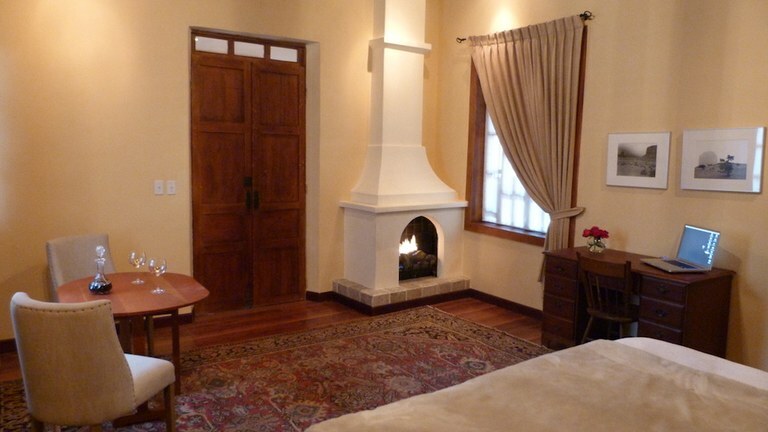 All four large, luxury bedroom suites have been beautifully designed and include gas fireplaces. 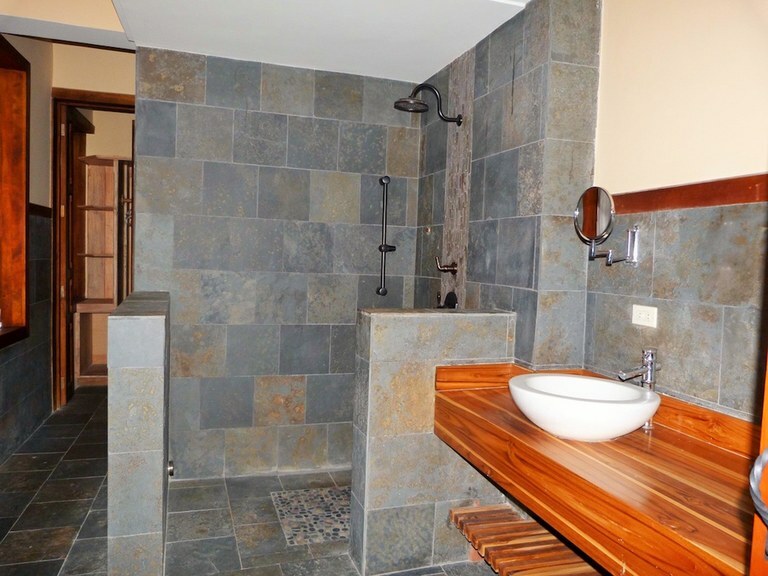 The ensuite bathrooms are tiled with elegant slate and counters are from Ecuador's own teak forests. Two bedrooms have kitchenettes for that morning cup of coffee or tea with toast. You will find fabulous, soaring stone walls built floor-to-ceiling in both common areas and in bedrooms - a sensational and stunning effect. The luxurious master bedroom has an adjacent walk-in closet with all teak built-ins and leads to the master bath. 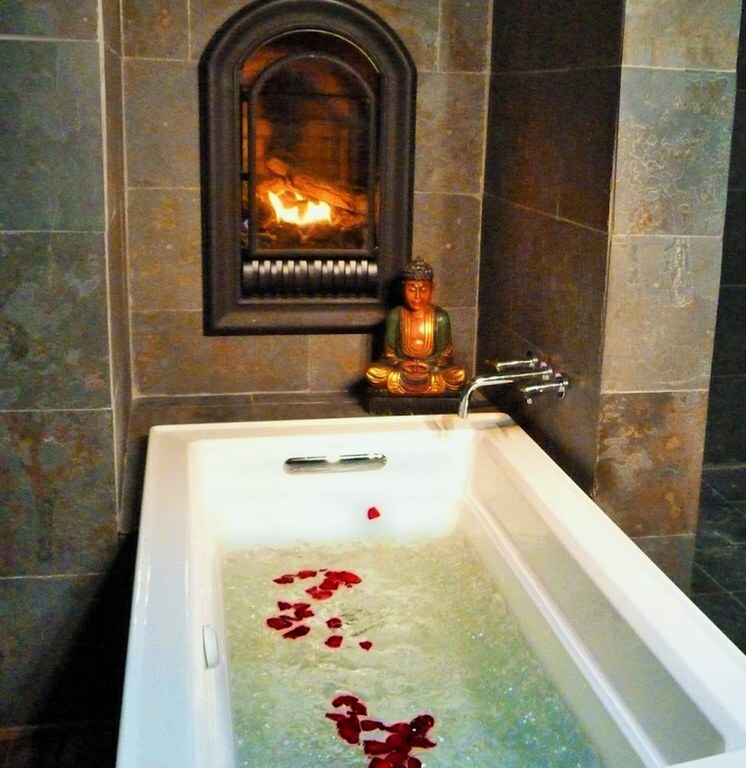 The remarkable master bath comes with a bubble tub (so you can use essentials oils or bath salts in your water without damaging the motor), the aforementioned steam shower and a remote-controlled fireplace. 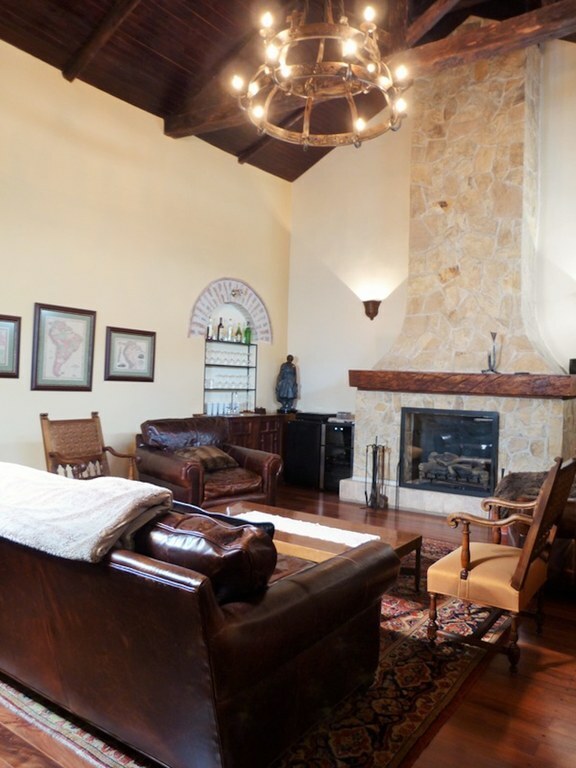 You will find it the ultimate place to relax and regenerate. 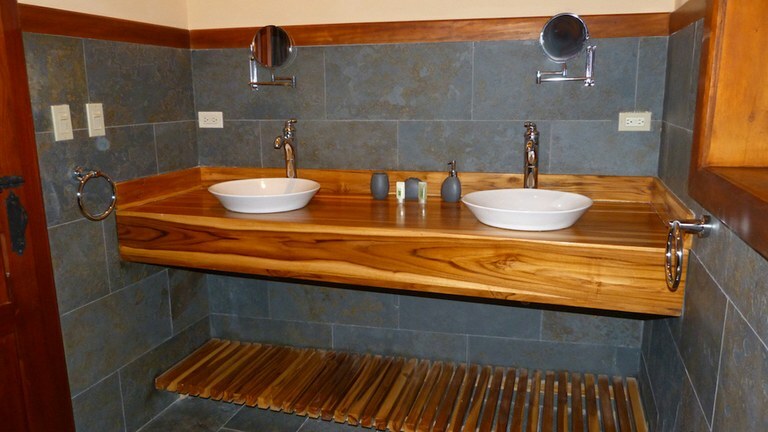 Striking solid teak counters in all bathrooms and kitchens are beautifully finished to perfection. Their glowing and distinctive wood-grain warms the rooms. 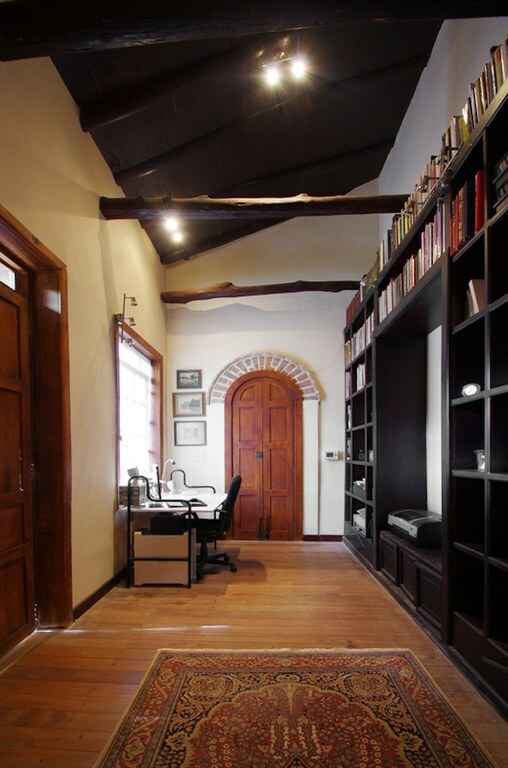 Stay home and work from your two office suites, each with plenty of floor-to-ceiling library shelving. 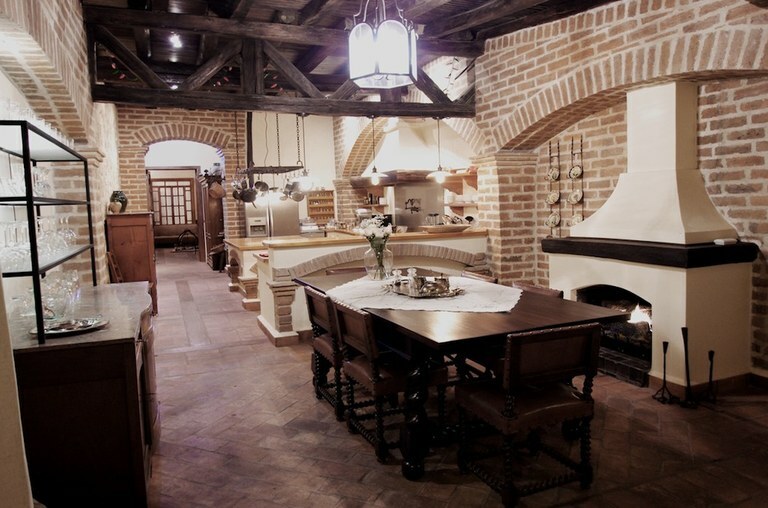 Twenty-one hand-forged, wrought iron chandeliers were individually designed and crafted by professionals. 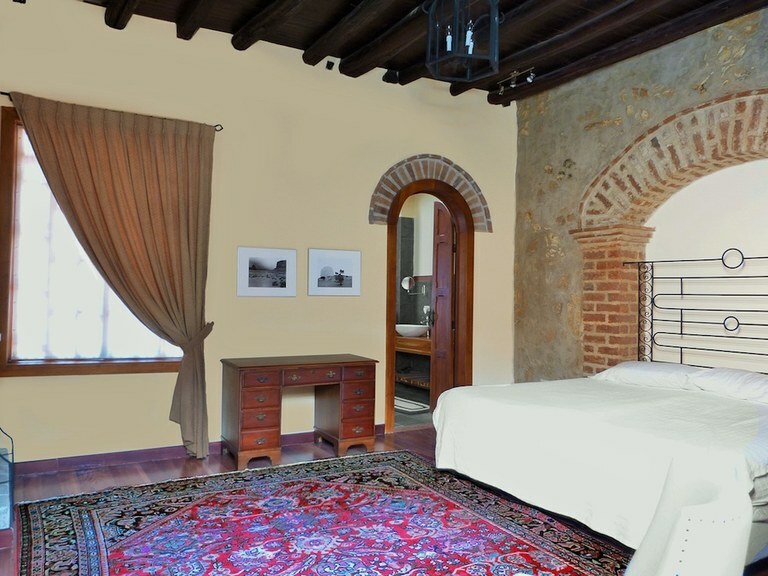 Each fit the rooms for which they were created and their uniqueness perfectly finishes the style of each room. 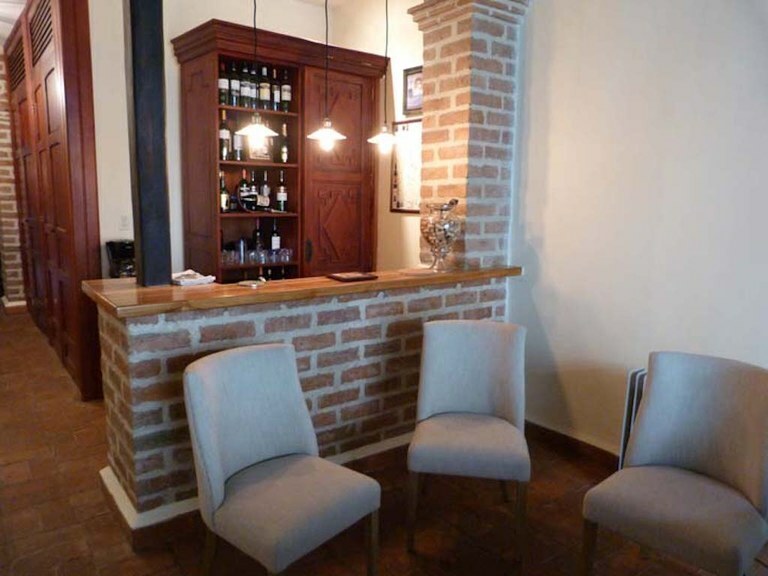 Over 40 hand-thrown pottery wall sconces give the house a natural glow and allow easy navigation at night without the need to turn on the overhead lights --- a very subtle touch. 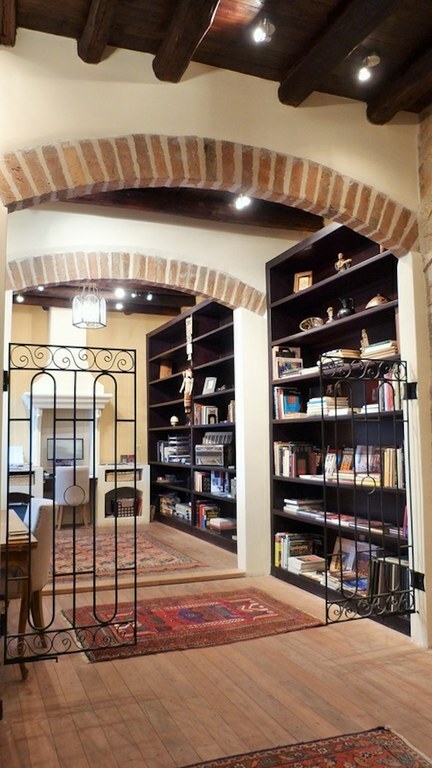 All door and cabinet hardware is hand-forged, wrought iron and designed for the spaces in which they operate. 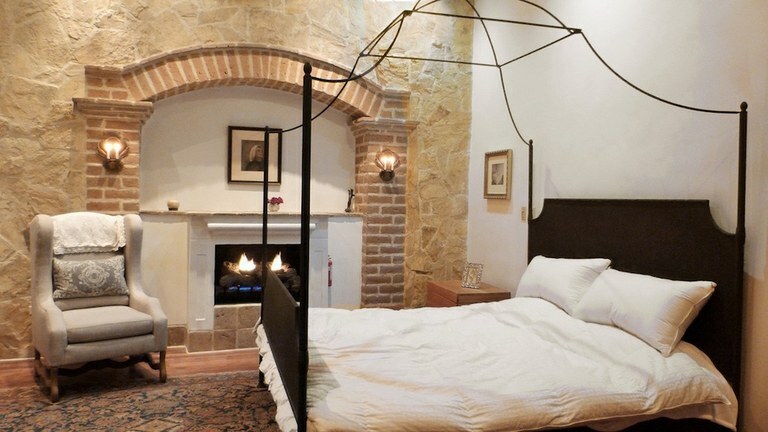 Custom-made curtains and draperies with artisan-crafted rods provide privacy and darken the rooms when one desires. 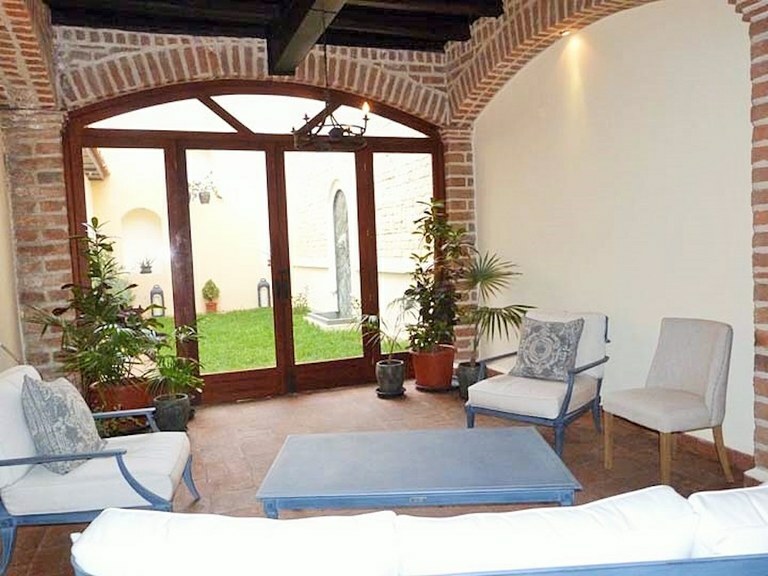 These same windows open to the landings and courtyards for fresh airflow and light throughout the house. Two wet bars and multiple serving credenzas make it simple to throw large parties -- your staff can easily and quickly serve guests their bebida of choice! The hacienda-style kitchen includes a large hanging, wrought iron pot rack, deep sinks, and the latest high-end appliances which include a side-by-side refrigerator-freezer, GE dishwasher, and the best faucet hardware. 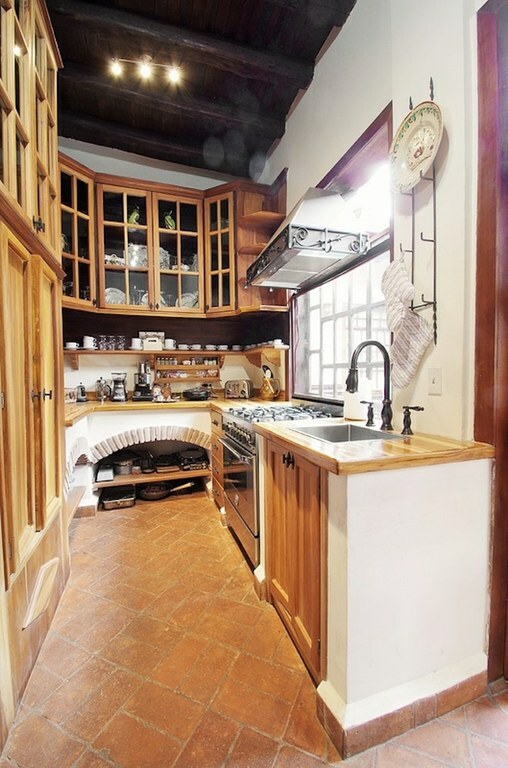 It has been plumbed for the installation of a commercial stove whenever one is ready and there is a beautiful pasta pot faucet for easy filling while at the stove - no heavy pots to carry. The whole house is wired for HDTV and, when throwing a party, the acoustics are fabulous for small concerts - no sound system needed! The large commercial-grade, filtered water system and two large cisterns holding 2200 liters gallons make water worries non-existent. You will always have enough and it will be hot on-demand. The laundry room comes with a large capacity General Electric front-load washer and dryer set. Top-of-the-line security system - it doesn't get better than this one. With cameras at the street entry showing who is at the door, it broadcasts the video within multiple rooms of the house and the intercom system allows you to confirm identity. Empleada quarters with ensuite bath provide a place for live-in assistance if you choose - otherwise, another bedroom with ensuite bath or more storage! 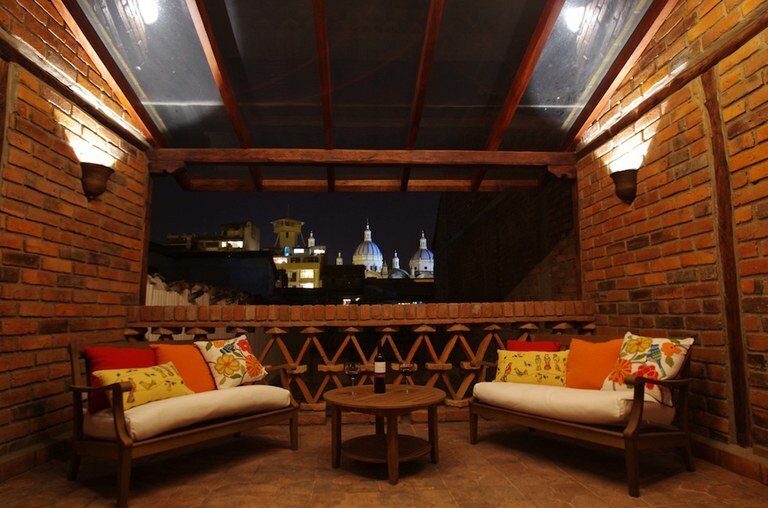 The third story is a large glass-covered terrace with a view of Cuenca's blue-domed cathedral. It is lit at night for a view few people have here! 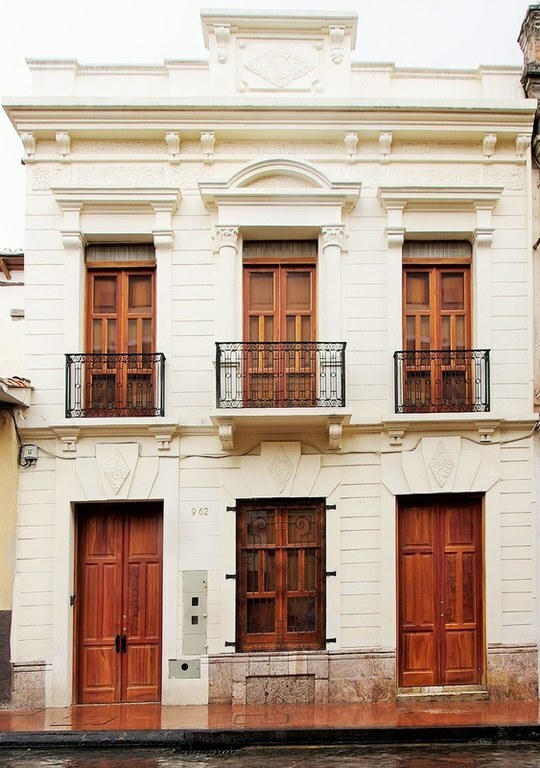 Cuenca's El Centro is a Unesco World Heritage Site and has many buildings to show off the grand architecture of yesteryear; buildings made entirely of both hand-hewn marble and adobe are common throughout El Centro. 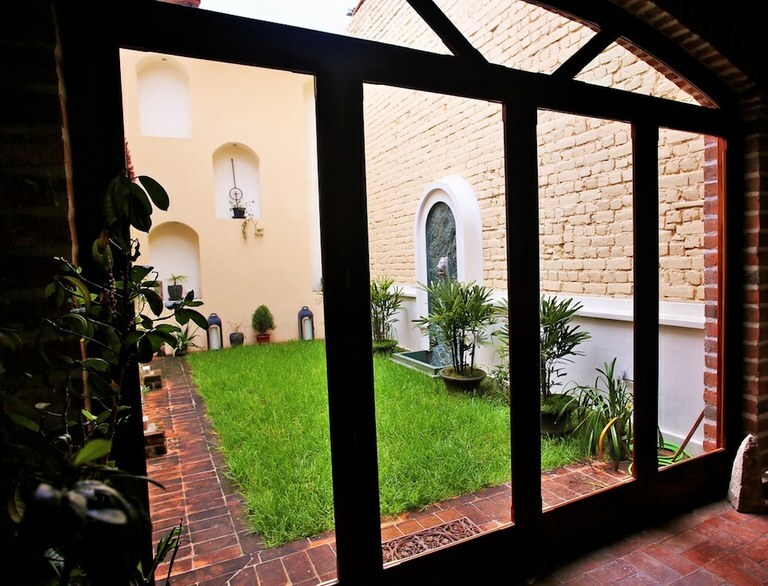 Cuenca's temperate weather – average high 75F with an average low 50F - makes it easy to live with just a light jacket or sweater. Cuenca is located high in the Andes mountains. The skies are beautiful - a crisp, clear blue with changing cloud formations all day long. A fun getaway for the day at natural hot springs is just 15 minutes from Cuenca. There you will find a variety of spas for swimming, relaxing, sunning, taking a mud bath and getting a massage. Ecuador is known for its countrywide mining of gold and silver. Many small mining operations take advantage of the plentiful veins of these precious metals. Four rivers, the Tomebamba, the Yanuncay, the Tarqui and the Machangara bubble through Cuenca with many bridges across them and walking pathways for nice river strolls. 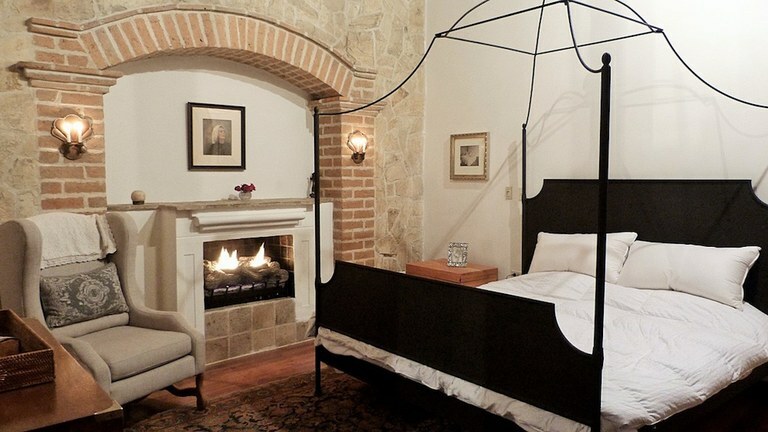 Casa de Monsenor was lovingly restored over a period four years (2010- 2014) by Dorie Deal, designer and art collector.